This is a die-cut Modern Crankcase Cleaning Service porcelain sign. This particular Modern Crankcase Cleaning Service sign is blue with red text. 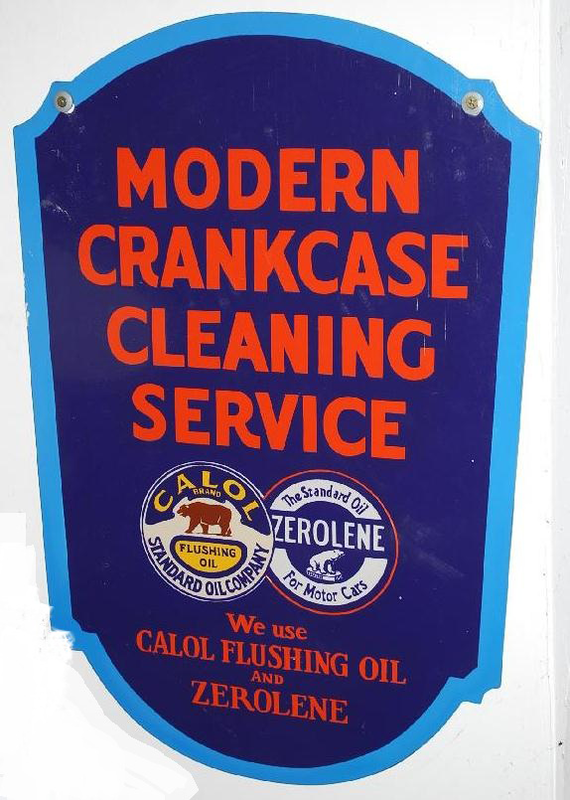 It reads, “Modern Crankcase Cleaning Service, We Use Calol Flushing Oil and Zerolene” and features the Calol and Zerolene emblems in the center.